The AC21 SPEED BOARD PRO MODEL is a unique shape designed for speed and pure adrenalin. The board inherits the years of development made by Alex CAIZERGUES, multiple times World speed record holder, and the F-ONE team to push the limits of the world speed record. Using a narrow and asymmetrical outline for a maximum top end speed, the board's secret lies in its rocker line combined with a single concave and flex distribution for an optimum balance between control and speed. 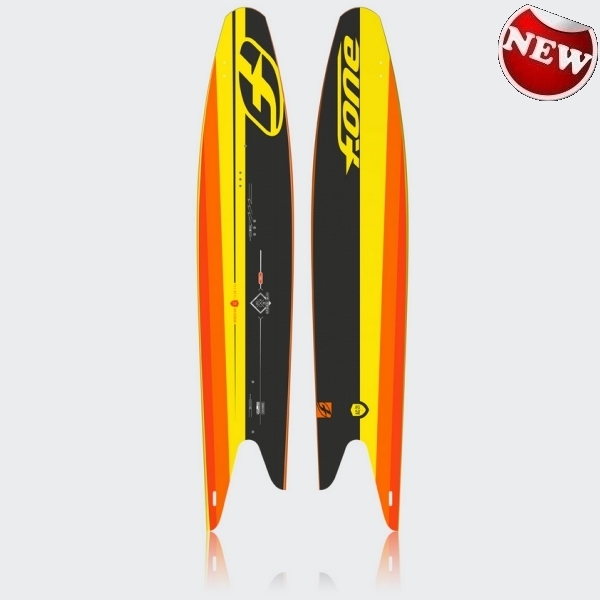 The board comes with a thinner G10 profiled main fin for minimum drag and a shallow front fin to get back to the top of the run. 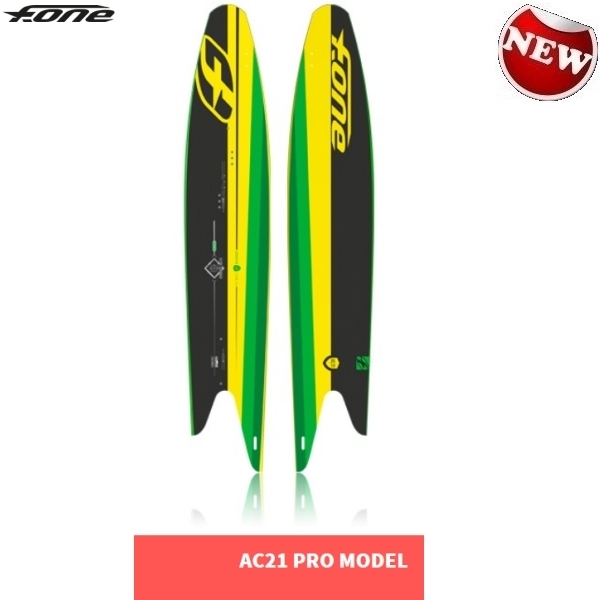 Available in starboard or portside configurations, this board will tear up your spot as soon as the wind starts revving up! HYBRID CAP RAIL is a construction process which cleverly combines the sleek lines and perfect grip of a cap construction rail with the toughness and durability of an ABS rail. As on a cap construction, the deck comes down towards the rail but finishes on a rounded ABS sidewall providing a shape similar to a surf style rail.